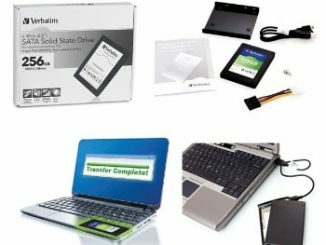 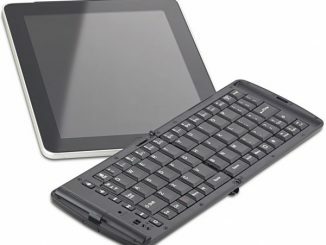 Verbatim just announced today that their Wireless Bluetooth Mobile Keyboard for iPhone and iPad is now shipping to retailers nationwide. 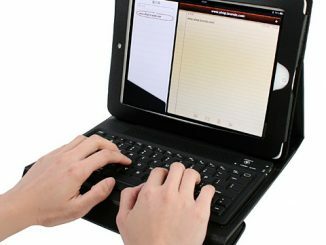 This ultra-slim foldable keyboard is designed to work with Bluetooth enabled iPhones and iPads, making it much faster to type long messages. 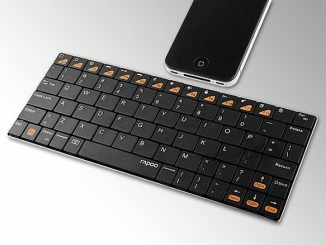 If you use your iPad or iPhone for emails, blogging, Facebook, extensive text messages, or anything where you do a lot of typing, this sleek, compact keyboard can really come in handy. 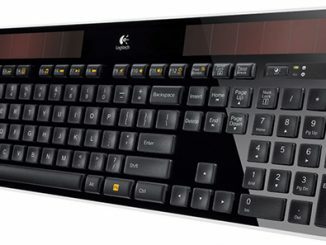 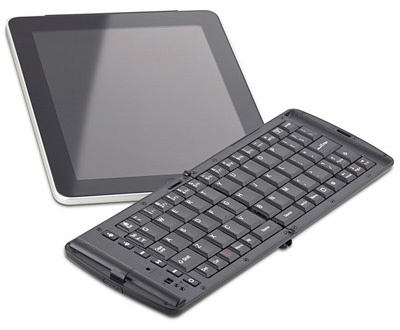 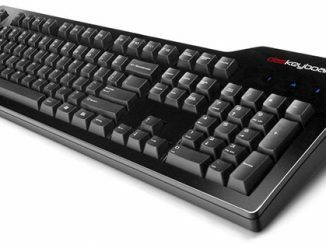 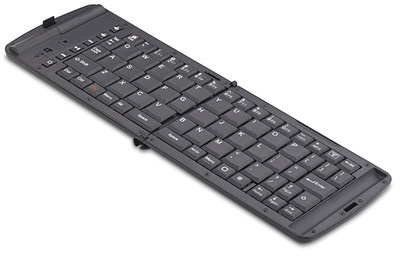 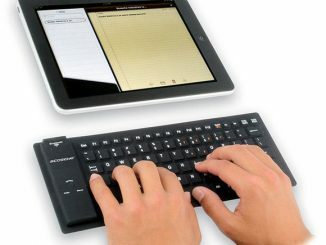 It gives you a full qwerty keyboard, making typing much easier for people that don’t like typing on touch screens. 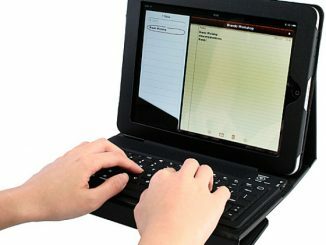 Although it folds to be very compact to easily take it with you, the keyboard is larger than the on-screen keyboard on the iPad (and much, much larger than the one on an iPhone), so it great for people with fat fingers. 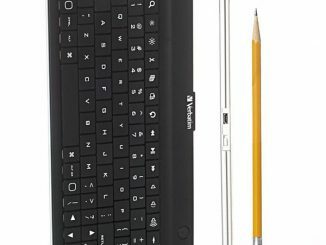 The Verbatim Wireless Bluetooth Mobile Keyboard comes with a carrying case and an iPhone Stand (that can easily be stored within the keyboard body). 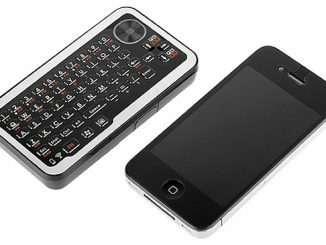 It is powered by 2 AAA batteries, and it comes with them too. 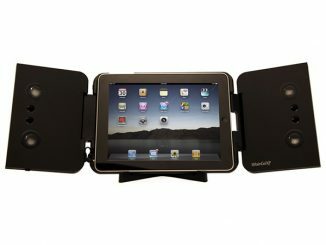 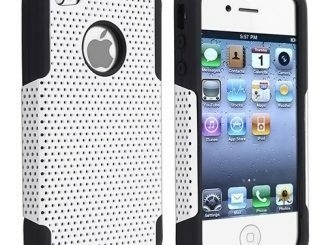 It measures 9.2″ x 6.4″ x 2″ and weights 15.7 ounces.